Depart Nashville at 8 am for a day in the quaint town of Lynchburg Tennesee home of Jack Daniels Distillery. Take a tasting tour of the distillery where you will see how Jack Daniels is made and then how it tastes. Visit the bottle shop and the downtown Lynchburg square. Enjoy a true Southern Lunch at Mrs. Mary Bobo’s where they have been serving up lunch for over 100 years. (Optional for an additional cost). You will be picked up from and returned to your Nashville area hotels. 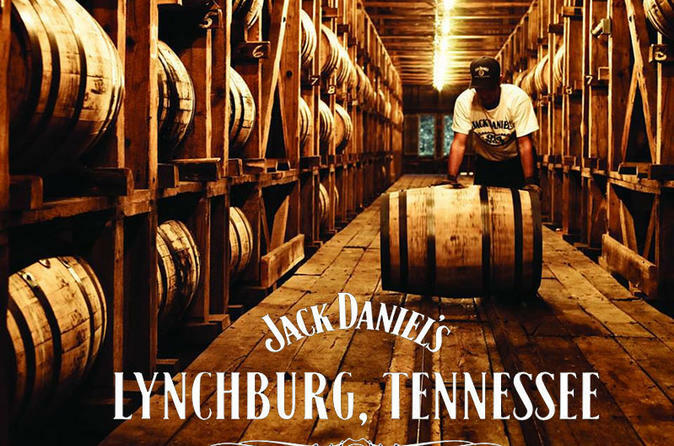 Enjoy your knowledgeable driver guide as you travel through the rolling hills and horse country of middle Tennessee to the historic town of Lynchburg home of Jack Daniels Distillery. Your guided tour of Jack Daniels Distillery will be followed by Flight of Jack Tasting. Shop at the Jack Daniels Bottle Shop for exclusive and customized "products". Take time to Explore historic downtown Lynchburg including the Jack Daniels Store, a variety of shops, eateries, and the Old County Jail. For the complete Lynchburg experience add the optional lunch at Mrs. Mary Bobo's Boarding House.